Diet Pills Watchdog | How Effective & Safe Are Synephrine Supplements? Home » Ingredient Watch » How Effective and Safe are Synephrine Containing Supplements? How Effective and Safe are Synephrine Containing Supplements? Page updated Mar 27, 2018. First published Jul 10, 2013. Synephrine is the main ingredient of Citrus aurantium (bitter orange) extract. Since the banning of alkaloids by the FDA, sympathomimetics with chemical structures and actions similar to ephedrine but with lesser adverse effects have come into prominence as weight reducing alternatives; synephrine is one of them. Synephrine apparently cause weight loss by increasing your metabolism, suppressing hunger and causing breakdown of fat. However, the scientific evidence for these actions is lacking. Furthermore, use of synephrine supplements is fraught with life-threatening adverse effects. The ban on use of alkaloids (Ma-huang) in weight-loss supplements came into effect in 2004. Since then, supplement companies have been looking for a similar but safer compound to include in their weight loss concoctions. Synephrine has a chemical structure resembling ephedrine (and sympathomimetic neurotransmitters produced in the human body like adrenaline and noradrenaline) and is apparently safe than ephedrine; on ingestion it produces effects similar to ephedrine including weight-loss. Hence, since the post-ephedrine ban, synephrine finds use in most fat-loss supplements. Commercially, synephrine is available as Advantra Z produced by Nutratech industries. In addition to synephrine, Advantra Z® contains 3 other sympathomimetic agents: N-methyltyramine, hordenine and octapamine (Inchiosa, 2011; Bowman & Rand, 1980). Although supplement companies claim that synephrine is as safe as houses, much of the scientific community begs to differ in their opinion on synephrine; evidence for adverse effects caused by synephrine abounds in scientific literature (Bent, Padula, & Neuhaus, 2004; Penzak et al., 2001; Fugh-Berman & Myers, 2004; Haaz, Williams, Fontaine, & Allison, 2010; Rossato, Costa, Limberger, Bastos, & Remiao, 2011; Inchiosa, 2011). Synephrine (p-synephrine, to be precise) is the main protoalkaloidal content of Citrus aurantium (bitter orange) extract. Known in ancient traditional Chinese medicine as ‘chih shi’ or ‘zhi shi’ (Stohs, Preuss, & Shara, 2012), synephrine is derived from unripe Seville oranges. Other citrus fruits – oranges, clementines, tangerines, mandarins and grapefruits also contain synephrine, but in lesser amounts (Nelson, Putzbach, Sharpless, & Sander, 2007; Sander et al., 2008; Dragull, Breksa, III, & Cain, 2008; Uckoo, Jayaprakasha, Nelson, & Patil, 2011). As noted earlier, since the banning of ephedrine by the FDA, sympathomimetics similar to ephedrine but with lesser adverse effects profile have come to prominence as weight reducing alternatives. p-Synephrine is one of them. Most fat-loss supplements will contain p-synephrine in combination with other thermogens like caffeine or green tea extract. Although in theory, the mode of action of synephrine when ingested as a supplement looks impressive, there isn’t enough proof that it causes fat loss. Also, there is lack of evidence that p-synephrine and other sympathomimetics amines including ephedrine are very effective in maintaining weight loss over a longer period of time (Inchiosa, 2011). Add to it the fact that it is likely to cause some serious cardiovascular side-effects. Synephrine is closely related to the hypertension causing drug phenylephrine; it is postulated that synephrine may carry inherent cardiovascular risks (Bent et al., 2004; Penzak et al., 2001; Fugh-Berman & Myers, 2004; Haaz et al., 2010; Rossato et al., 2011; Inchiosa, 2011). Although consumed for weight-loss by millions around the world, the safety of synephrine containing supplements has always been under the scanner. However, some researchers feel that there is lack of evidence for synephrine toxicity (Stohs, Preuss, & Shara, 2011; Stohs, Preuss, & Shara, 2011; Stohs et al., 2012; Stohs, 2013). According to these scientists, widespread confusion prevails regarding the structural differences between ephedrine, m-synephrine and p-synephrine. In one of their studies, Stohs et. al. observed that most researchers who reported adverse effects of supplementation with synephrine do not understand the subtle differences in chemical structures and receptor binding properties of the two compounds and that unlike ephedrine or m-synephrine, p-synephrine did not have any significant cardiovascular activities (Stohs et al., 2011). It might be of interest to note here that m-synephrine is not present in citrus aurantium extract (Pellati & Benvenuti, 2007). Furthermore, neither m-synephrine nor ephedrine occur naturally in plants (Stohs et al., 2011). Despite these findings, a series of other studies have concluded that synephrine may possess the potential to cause untoward and sometimes life-threatening side-effects (Bent et al., 2004; Penzak et al., 2001; Fugh-Berman & Myers, 2004; Haaz et al., 2010; Rossato et al., 2011; Inchiosa, 2011). Supplement companies often claim that synephrine possesses performance enhancing abilities – this is backed up by some studies; synephrine apparently makes exercise less strenuous (Haller, Duan, Jacob, III, & Benowitz, 2008). However, Stohs et. al. argue that since the product used in the previous study contained other herbal ingredients, the performance-enhancing ‘effects cannot be specifically ascribed to p-synephrine’ (Stohs et al., 2011). Although, p-synephrine present in Citrus aurantium extract has some similarities to ephedrine, there isn’t enough evidence that it cause significant weight loss. Furthermore, the safety profile of Citrus aurantium doesn’t seem to something to be excited about either! Don’t know about you but with the likelihood of suffering from a stroke or cardiac arrest, we are sure, we wouldn’t be tempted to use synephrine supplements for causing weight loss! Bowman, W. C. & Rand, M. J. (1980). Peripheral adrenergic mechanisms. In Textbook of Pharmacology (2nd ed., pp. 11.1-11.49). Oxford, UK: Blackwell Scientific. Dragull, K., Breksa, A. P., III, & Cain, B. (2008). Synephrine content of juice from Satsuma mandarins (Citrus unshiu Marcovitch). J Agric.Food Chem., 56, 8874-8878. Nelson, B. C., Putzbach, K., Sharpless, K. E., & Sander, L. C. (2007). Mass spectrometric determination of the predominant adrenergic protoalkaloids in bitter orange (Citrus aurantium). J Agric.Food Chem., 55, 9769-9775. Stohs, S. J. (2013). Questionable Conclusions in the Article “Cardiovascular Toxicity of Citrus aurantium in Exercised Rats”. Cardiovasc.Toxicol., 13, 180-181. I cant understand how bitter orange(syneprhine) is not banned by wada but contains octopamine which is banned by wada can someone explain? My sister in law was taking a supplement with bitter orange and caffeine in it. She has 2 kids and she might not be able to see them grow up now, because she has locked in syndrome from a stroke she had only 3-4 months after starting the supplement with these ingredients in it. She was 38 and had no risk factors at all. You conclusion of p-syneprine is totally incorrect. 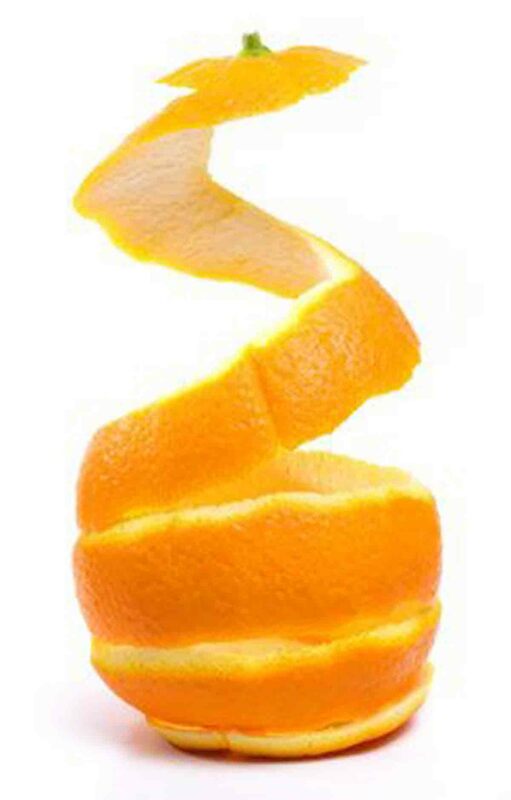 Its clear now that in stand alone trials just with Bitter Orange, no negative effects were found, blood pressure change, nothing. And if you take time to read all the clinical trials, weight loss was significantly more in %. You have taken older trails and then concluded there is significant risk, and no evidence of weight loss. Take it. It works. Body temperature rise is evident in the first hour. You can physically feel it kicking back in as soon as you start exercise or after a meal. THERE IS ZERO LIKIHOOD TO A STROKE – where are you concluding that from!?!? its ridiculous. I’ve been taking these pills for 6 days now and I’ve put on 3lbs and my tummy is getting fatter by the day. I ask on the fb website for some help and advice and all they done was remove and block me!! Really shows how commented they are and don’t care about your health! So now I’m having to go and see my GP to make sure my body is ok?! Hi Claire, what manufacturer deleted you from Facebook? what was the outcome of your GP visit? was it muscle mass gain or just belly fat as you stated? and did you continue with the Synephrine? Many of the new trials on synephrine, describing the positive effects, are funded by companies selling products containing synephrine. For example Stohs, Sidney J (author to many of the synephrine-trials you will find on pubmed) works for Nutratech Inc.